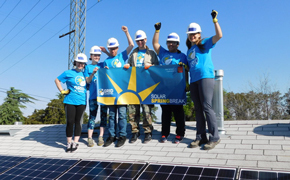 Whether you’re passionate about solar, social justice or serving others, each office offers a unique experience. Let us know your interests and we can help you find the perfect fit. 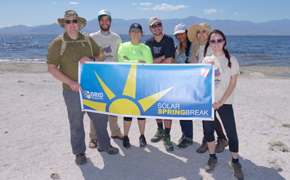 Even though we call it Solar Spring Break, your team is welcome to join us for service-learning during Winter Break and the beginning of Summer Break, too. Learn about GRID’s locations, then fill out our Interest Form to get started. Our Bay Area office serves urban communities on both sides of the Bay and partners with renewable tech companies in nearby Silicon Valley. Endless Bay Area adventures await you when you're not up on the roof! Spend your week in a pastoral setting by California's breathtaking Central Coast! Near to one of the largest solar farms in the world, our office in the rolling hills of Atascadero, California will give you the experience of a lifetime. 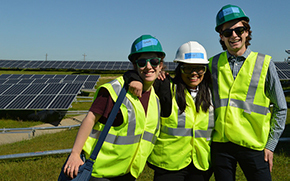 Join GRID’s Salinas office in bringing solar to the agricultural communities that grow a large portion of America’s salad greens and other produce. In your free time, trace the steps of Cesar Chavez and explore the coast. Fresno sits in a unique position at the intersection of agriculture, climate, and immigration issues. 300 days of sunshine in the Mile-High City! GRID Colorado is leading the charge into the new territory of community solar, otherwise known as "solar farms." Be a part of this exciting development in solar! 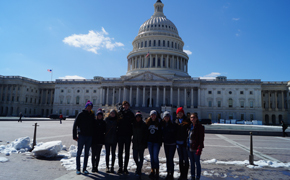 Washington, DC is home to the Capitol, White House, and many organizations working to advance solar policy. Experience the real Los Angeles from a neighborhood rooftop and get a taste for social justice work. Social justice, air quality, and solar all come together in Riverside. 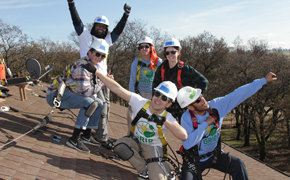 Visit GRID’s Inland Empire office to learn, to see our solar education program in action, and to serve communities facing some of the highest poverty and worst air-quality challenges in the country. Located in the foothills of the Sierra Nevada mountains, our Chico office serves rural families throughout Northern California. Sacramento is California’s state capital, a hub for progressive solar policy, and a cultural center. Come to our office and see what solar can do in neighborhoods that are disproportionately burdened by pollution and poverty. 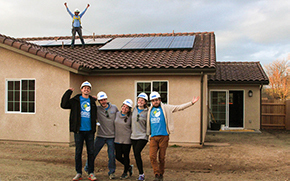 Our San Diego office brings solar to low-income communities from the coast to the hills and partners with many nearby tribal reservations to ensure that families across the board can benefit from the region’s bright climate. Come experience the San Diego sun! 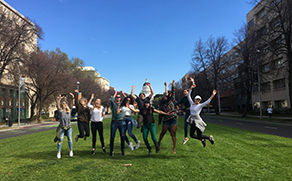 Students will immerse themselves in Mexican or Nepali culture while bringing solar power to places with limited energy access and rural off-grid communities who need it most. The trip fee is $25,000 per team (with a 25% nonrefundable deposit), excluding airfare. Learn more. Trip to be booked at least nine months in advance.